Be your own brand with this colorful t-shirt personalized to your DNA. Use your intrinsic identity – your genetic code, to create the design for this personalized t-shirt. 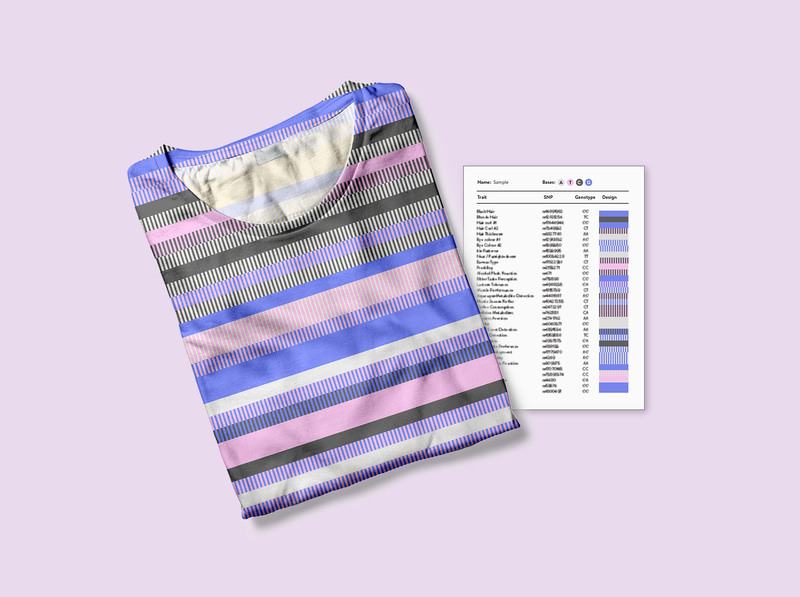 Your personalized design is created by color coding your genetic results from 33 different traits. 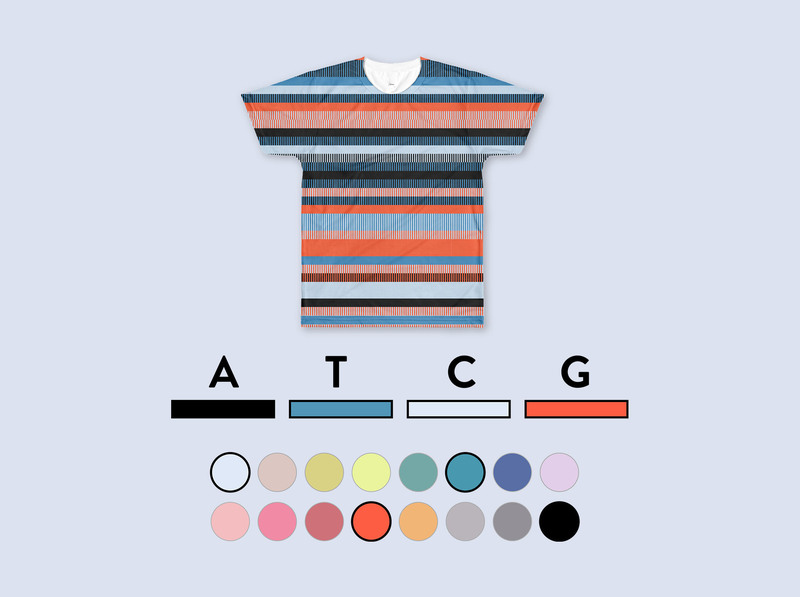 Customize your t-shirt by selecting a color to represent each of the four DNA bases. 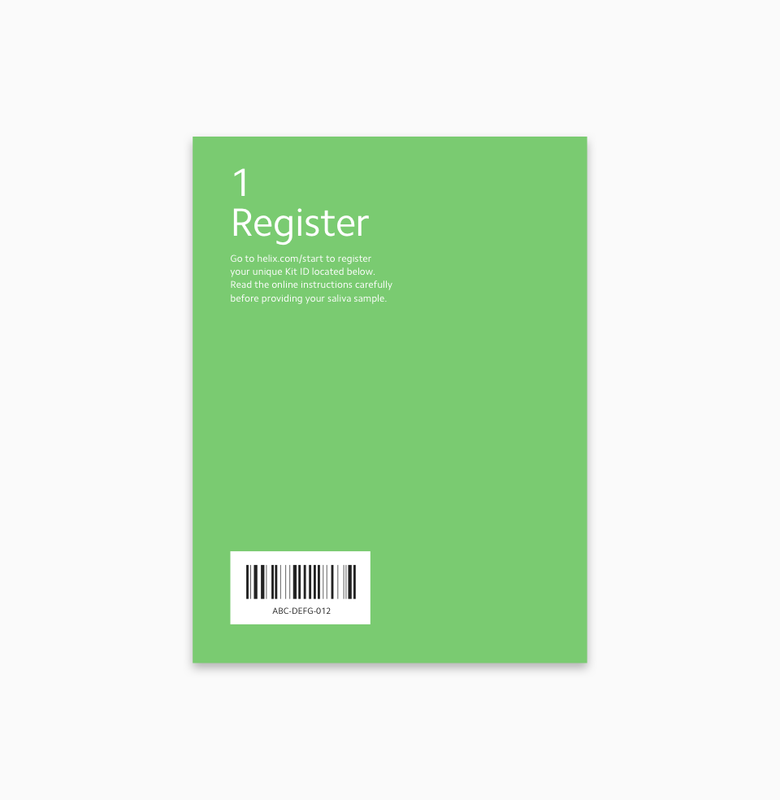 Each t-shirt comes with a printed guide to genetics and a results key to decode your design. The illustrated booklet is a simple and fun way to learn about DNA sequencing. 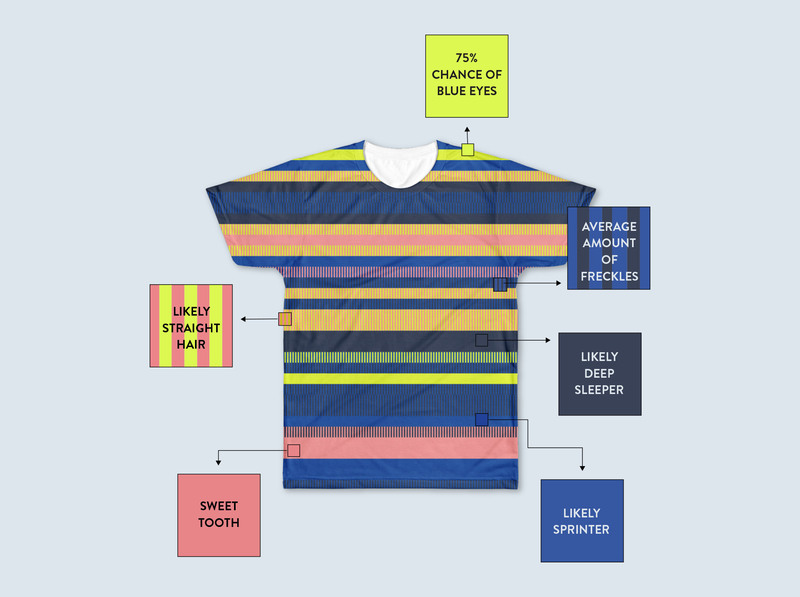 The unique pattern of your t-shirt is determined by your unique DNA. Trait info provided with your pattern includes traits with limited influence from genetics. Your DNA doesn’t determine or limit your ability to wear a t-shirt. Results are subject to change as more printing is done. 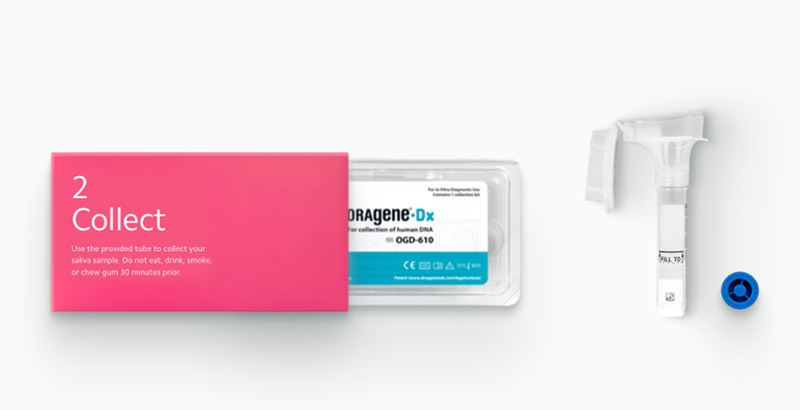 Order ACGTee and Helix sends you a DNA collection kit, which includes everything you need to get sequenced. 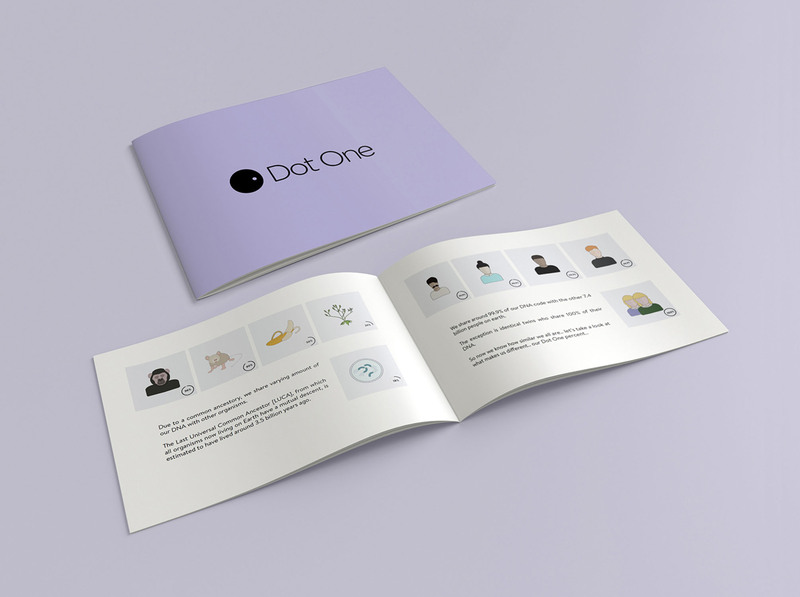 After Helix sequences your DNA from your saliva, Dot One will create your pattern and ship your t-shirt. Yes! The t-shirts are a casual fit and suited for any gender. Please select your fit based on the chest size. What size can I get? What happens if the ACGTee doesn’t fit? 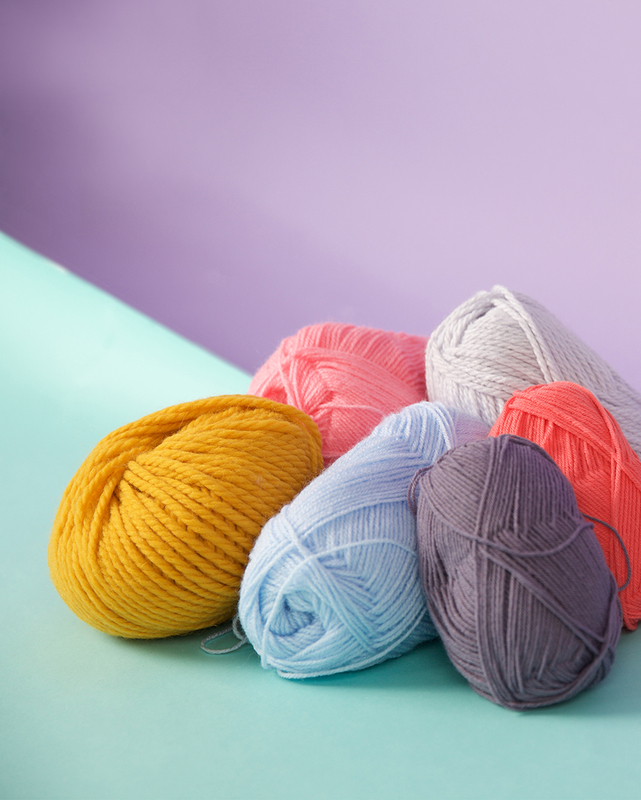 As each product is made just for you – it is not possible to exchange the size once it has been produced. Please follow the sizing guidelines to make your choice! How will Dot One ship my ACGTee? Your Dot One t-shirt will be shipped via First Class International post with the Royal Mail. 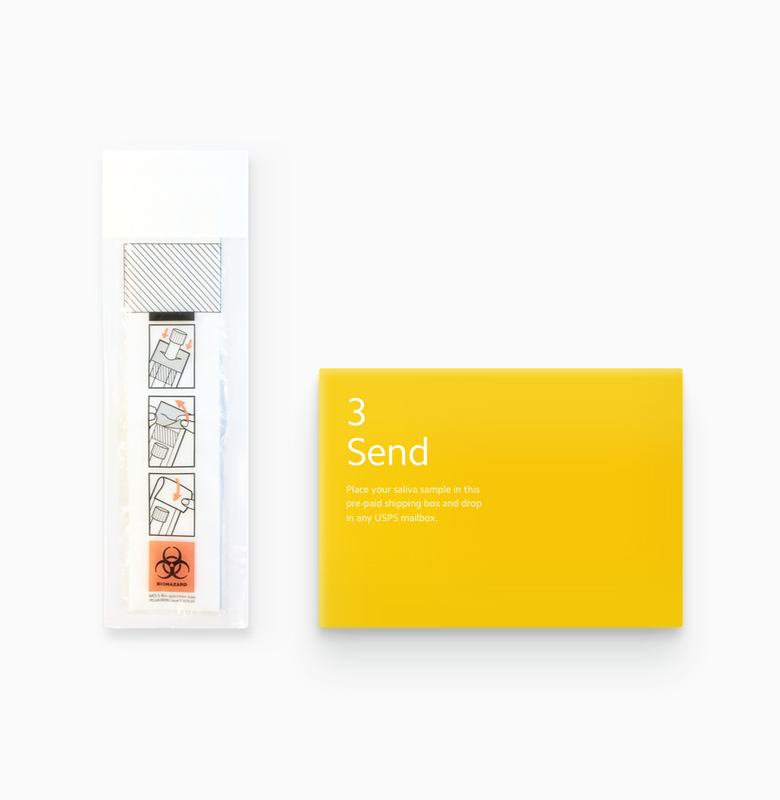 Once your t-shirt ships, Dot One will send you tracking information. When should I expect my ACGTee to ship? If this ACGTee is your first Helix purchase, you should expect it to ship about 3 weeks after you’ve been sequenced by Helix. If you’ve already been sequenced by Helix, your ACGTee will be shipped to you about 3 weeks after you complete your order. Yes. In order to purchase the ACGTee, you must be sequenced by Helix. To ensure the quality and accuracy of the genetic information used for this service, products in the Helix marketplace do not accept genetic data from outside sources. And, once you’ve been sequenced by Helix, you can purchase more DNA-powered products from a variety of categories like fitness, nutrition, entertainment, and more—all without having to get sequenced again.